Having duly warned its foe, the coiled rattlesnake is ready to strike. 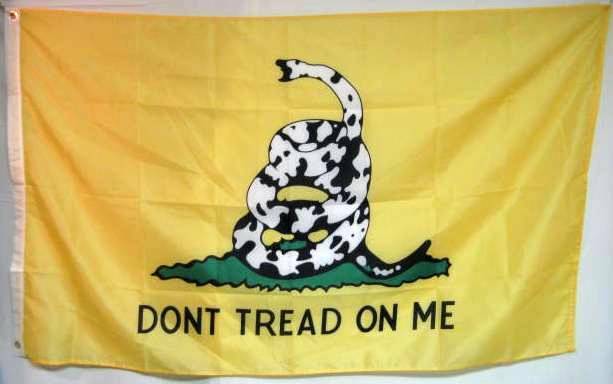 Given by Christopher Gadsden of South Carolina to the first commander in chief of the continental navy, Esek Hopkins who used it as his personal flag. The message to the British was unmistakable. 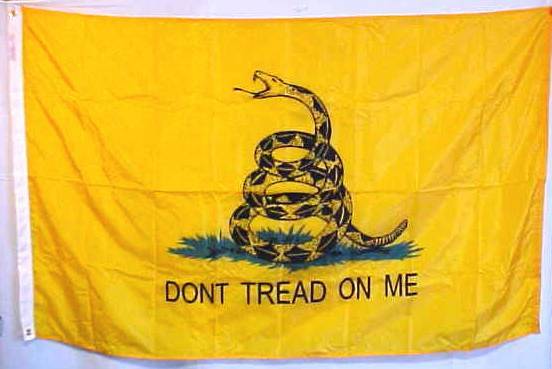 This has become the popular tea party flag and it is the most recognizable of colonial snake flags. Light weight polyester made in China. 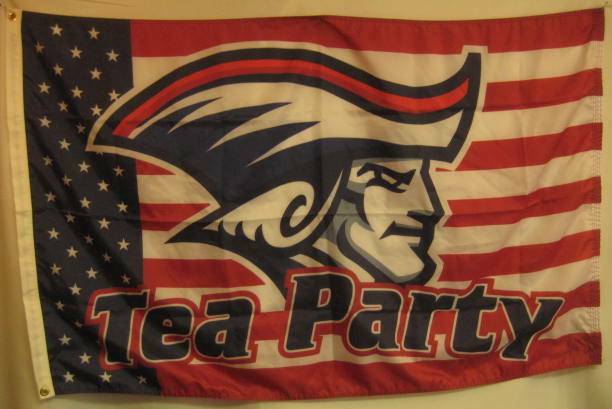 Not as nice as the US Made flag, but a good value when cost is important. 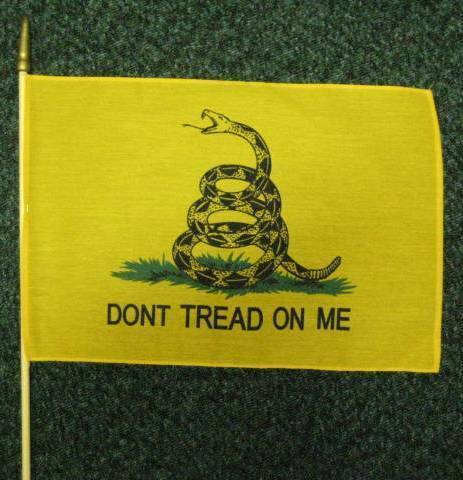 Don't Tread On Me Stick Flag MADE IN USA 12x18" Gadsden Flag, cotton polyester blend fabric on a 30" natural wood dowel with spear tip. These are not the cheap Chinese imports that come on a 24" stick too short to stick in the ground. Flag is stapled to staff. This was a limited run. Availability may be limited to stock on hand and future availability is not assured.